As we walked along Weston’s foreshore we saw a sign. It was about wildlife along the mudflats. The sign’s title was: “Weston Shore – Glorious Mud“. What were we doing here? 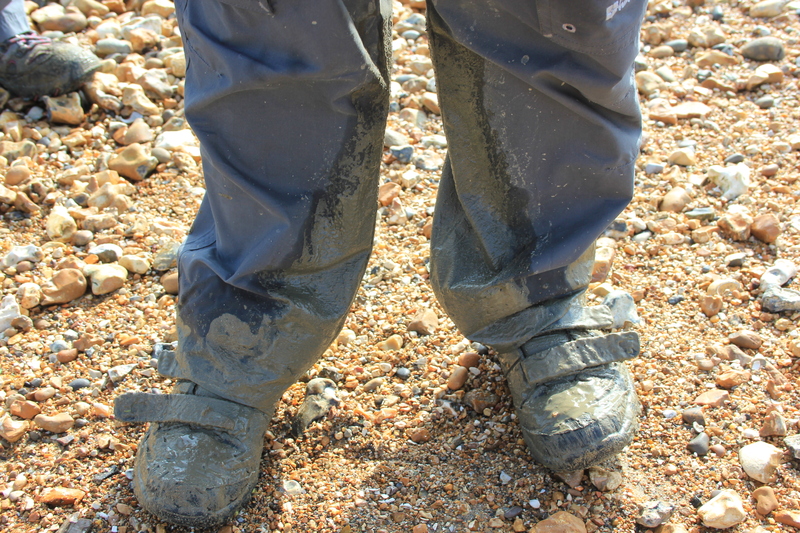 We were 6 miles inland, surrounded by industry and covered in Glorious Mud. We had to get out of here. Our only route was through Southampton, and this meant taking the Itchen Bridge. The Itchen Bridge crosses over the River Itchen, and as we were itchen to get back to the coast this was the way to go. Now, which idiot built that block of flats there (and which idiot bought the penthouse)? Crossing the Itchen Bridge was, in some respects, a rather sombre affair. 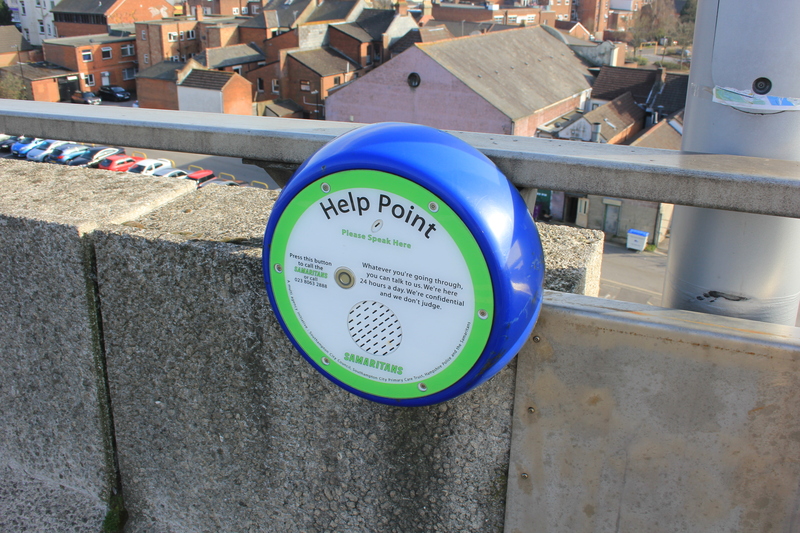 There were several call points for people contemplating suicide. The concrete below looked very unforgiving, but I suppose those contemplating taking their own life are not looking for forgiveness. 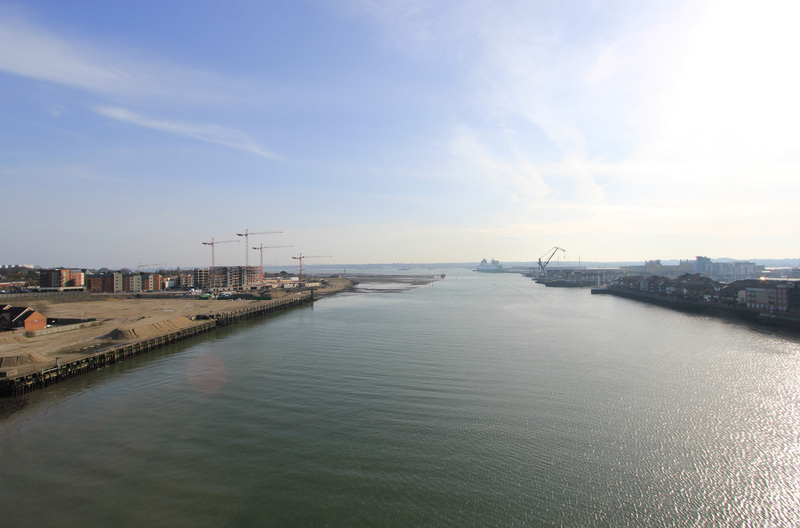 According to the Daily Mirror, the Itchen Bridge saw 19 suicides in the 19 years from 1985 to 2004. Southampton Coroner’s Office undertook an audit of deaths from 2007-2009 (a cheery task if ever there was one). 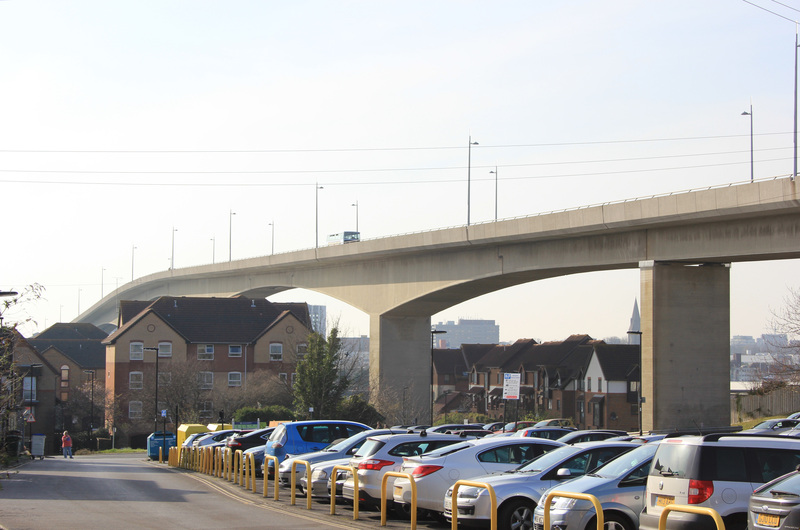 It concluded that the Itchen Bridge, at 13%, was the third most popular location for suicide in the City, after “at home” (49%) and “unknown” (17%). It worries me that an official audit did not know the location of 17% of all people who had taken their own lives. What could that mean? The more I try to reason this fact through the less I want to think about it. As I reached the apex of the bridge I thought the view south was lovely. For a place of suicide I thought the far reaching views gave a certain perspective to life. Even the building site to the east bank offered a certain sense of progress and hope; a blank canvas for the future? This entry was posted in Hampshire and tagged coast, Itchen, Itchen Bridge, mud, Southampton, suicide, travel, walking. Bookmark the permalink. The building site to the left was, when I walked through at the end of 2002, a hive of industry, with Navy ships moored at Vosper Thorneycroft, including the experimental Triton. By the time we moved to Southampton in 2007 it had shut, and by the time we moved away in 2011 it had been demolished. It’s quite sad to think that such a hive of industry will become yet more identikit blocks of flats.